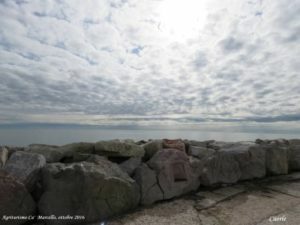 Sometimes, when the days here in Mira are a little gray, we just move a few kilometers to find the sun reaching, for example, one of the beachesalong the Adriatic sea. 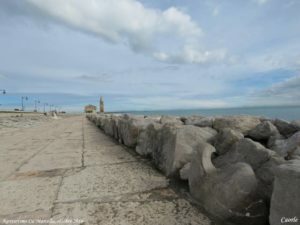 Caorle is a beach area and there is a nice promenade along the sea … and much more. 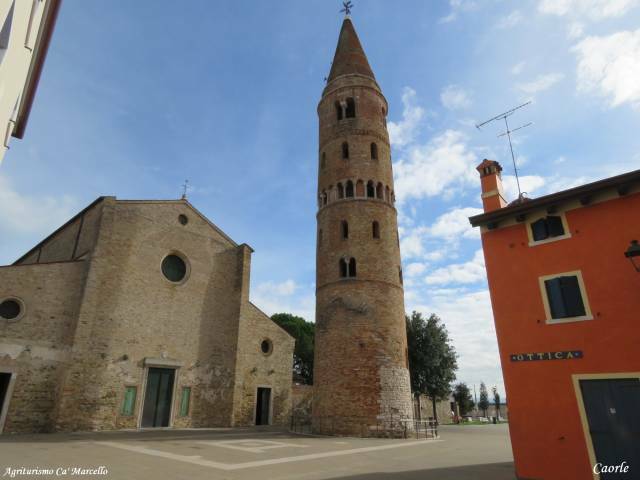 Besides the beach, Caorle boasts a characteristic historical center of medieval origin, built as a fishing village, and a lagoon area of great naturalistic value. 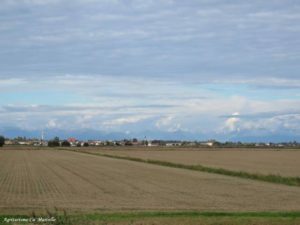 Caorle has been a Roman port in the first century BC, it has been the one of the places where the inhabitants of Concordia Sagittaria, escaped to the hordes of the Huns in 452 AD. Port of exchange between the Adriatic and the hinterland, much disputed in the Middle Ages, it ceded to Venice only at the beginning of the 15th century. The ancient core has preserved the urban structure focused on the two ancient islands. In the main square stands the Cathedral, consecrated in 1038 and erected on a late-Catholic basilica. 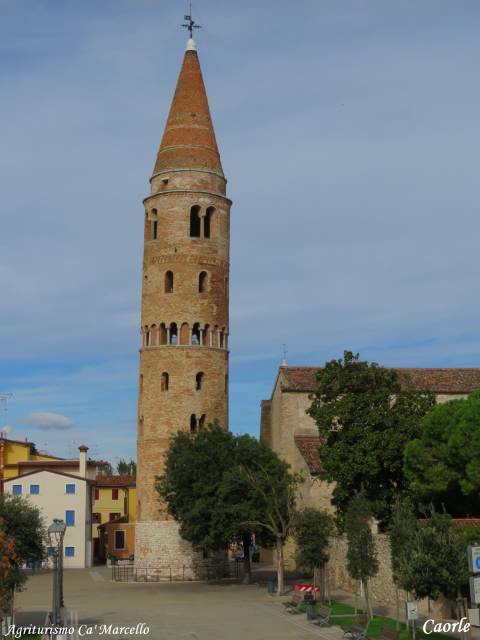 In front of its façade there is the splendid cylindrical bell tower, completed by a conical cusp. 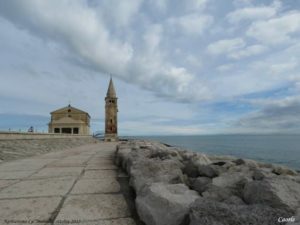 At the tip of the sandy bay stands the sanctuary of the Madonna dell’Angelo, rebuilt in 1751 in an ancient votive place, dedicated to San Michele Arcangelo, the original patron saint of the city. You can reach the church along the “Scogliera Viva” (living cliff), born of an international biennial sculpture award, organized by the municipality. Along the cliff you can see many of the sculptures. 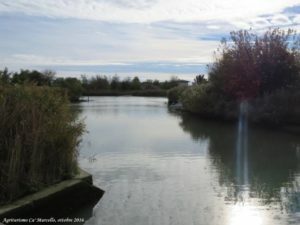 One of Caorle’s most important assets is its natural environment: the lagoon. The valleys are splendid from the point of view of the landscape and constitute a large area for staging, wintering and nesting for many waterfowl. 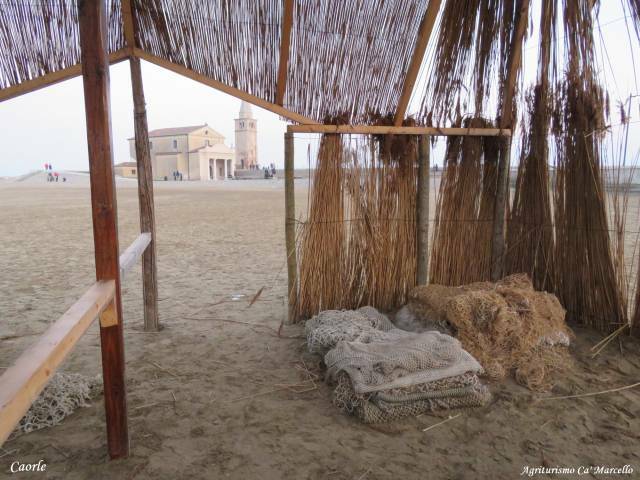 There is an itinerary to do in ValleVecchia, on foot or by bike, a protected area, where the beach is kept wild. 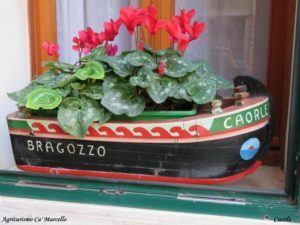 It takes about an hour to reach Caorle from the agriturismo. 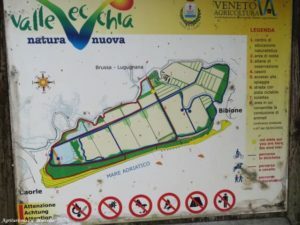 Turning right and following directions to Venice, just follow the signs for beaches and then for Caorle / Eraclea.